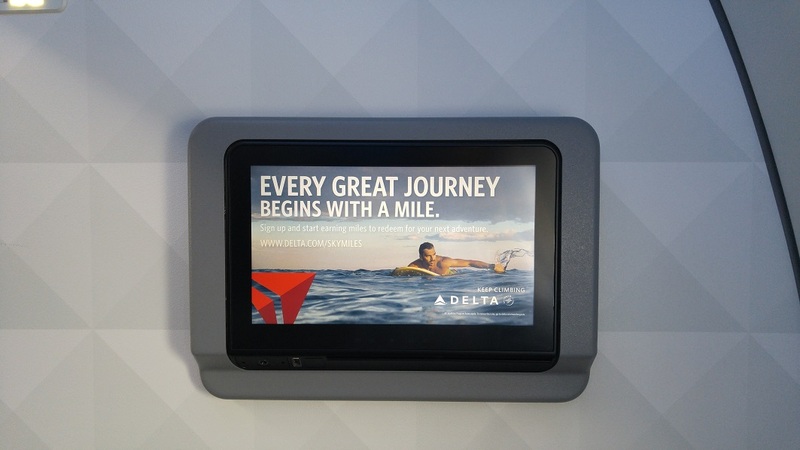 Last week I was able to fly on one of Delta’s Airbus A319’s with the new interiors and it was quite nice! 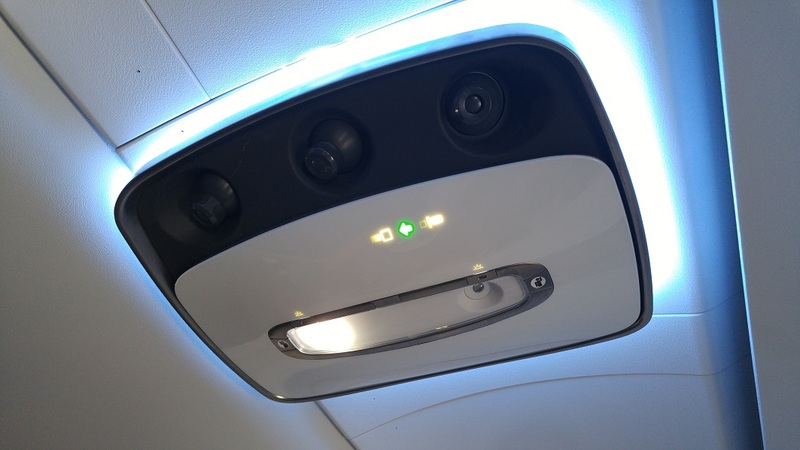 Though a new overhead console was in place, the vent for the Boeing 737-900 was not used! 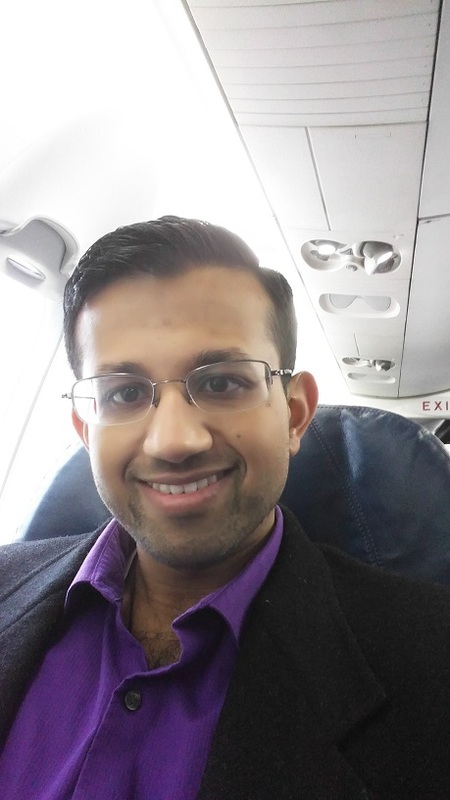 While I was traveling this week, I got a fun little surprise in the mail! 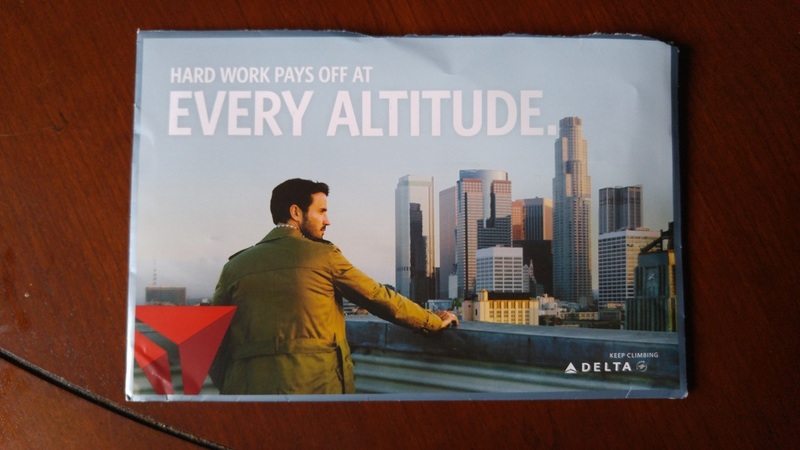 My Diamond Medallion package arrived from Delta – complete with #BragTags. 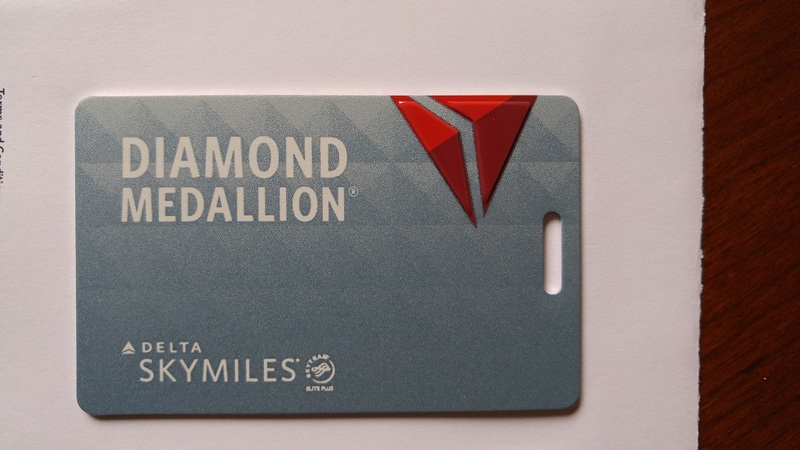 Instead of the traditional plastic luggage tag you receive with Platinum Medallion status, you get nicely machined aluminum tags at Diamond. 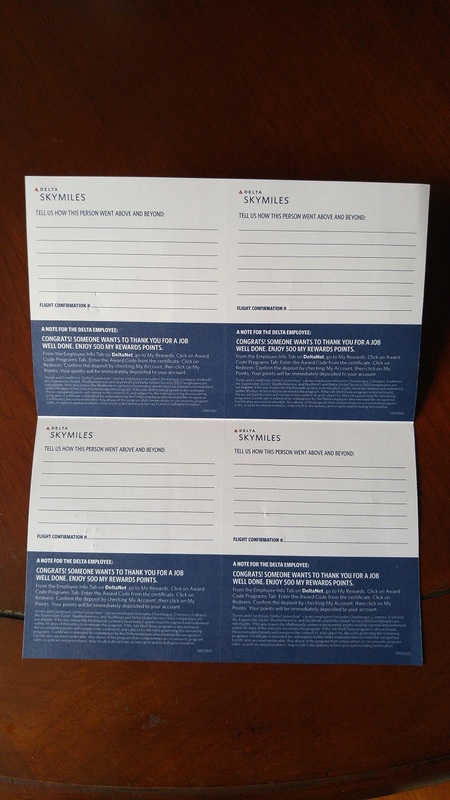 You also receive a handful of thank-you coupons to give particularly helpful or entertaining representatives. 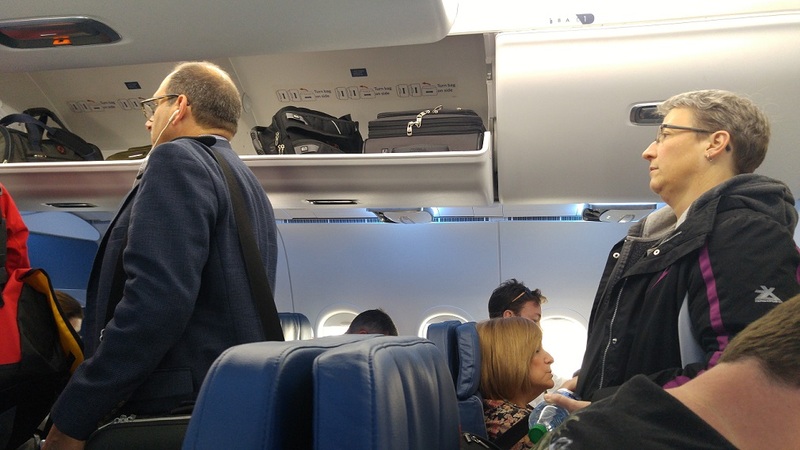 I wish we got more than just four, though – I frequently have excellent experiences with Delta flight attendants and phone representatives, and I wish I could acknowledge them all! 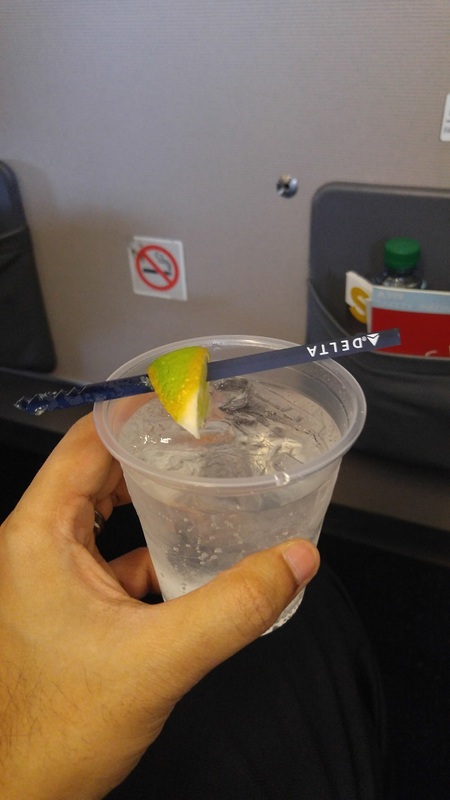 When flying this week, I managed to get upgraded for both flights on the way up to the customer site, including bulkhead on an A319. 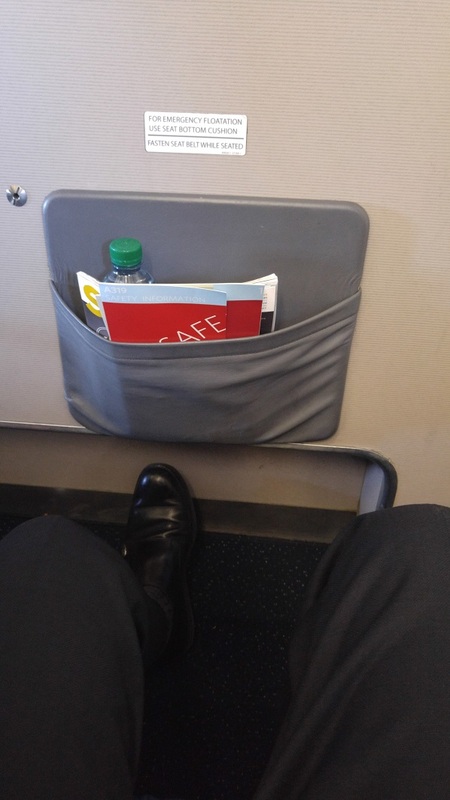 I am usually not a fan of bulkhead seats, but the A319 has a nice indentation which offers a hefty chunk of legroom! 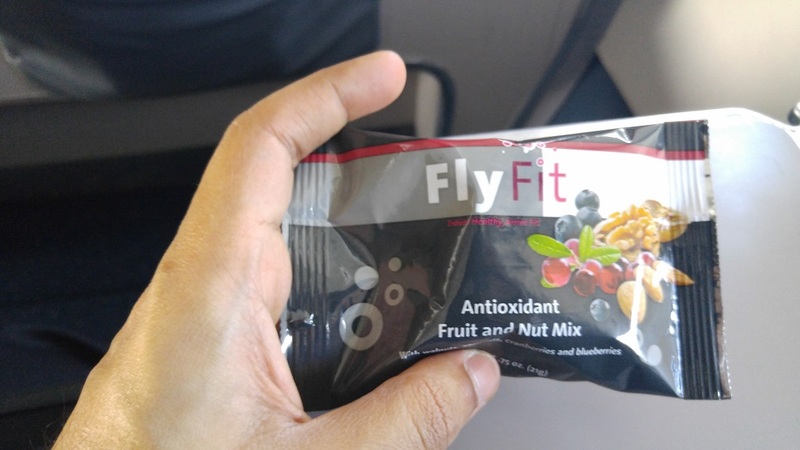 Delta also introduced some new snacks, one of which is a fruit and nut pack by FlyFit – quite tasty! 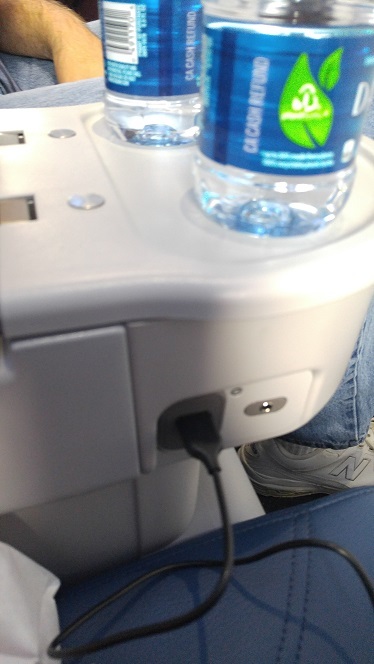 What about you guys – come across any new snacks on your domestic flights?